Lord mayor of Liverpool in 1899; born at Sydney, New South Wales, in 1846; son of Samuel Cohen, who represented Morpeth in the Parliament of New South Wales. He was educated in London, at Edmonton House (H. N. Solomon's school) and University College, and went to Liverpool in 1864, where he became connected with the firm of Lewis, subsequently becoming its head. 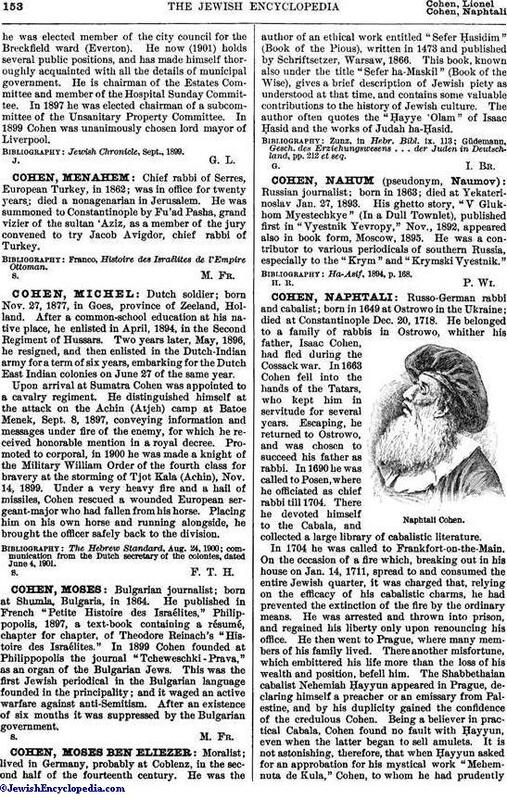 It was not till 1895 that Cohen began to take a prominent part in public affairs. In that yearhe was elected member of the city council for the Breckfield ward (Everton). He now (1901) holds several public positions, and has made himself thoroughly acquainted with all the details of municipal government. He is chairman of the Estates Committee and member of the Hospital Sunday Committee. In 1897 he was elected chairman of a subcommittee of the Unsanitary Property Committee. 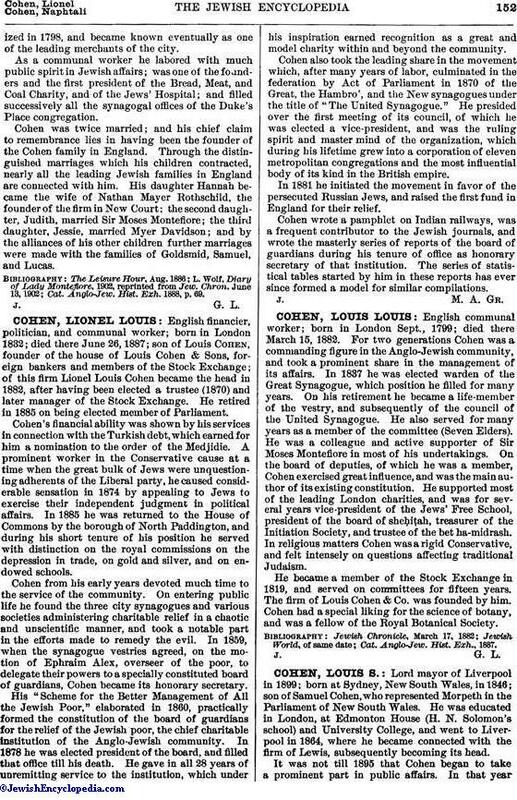 In 1899 Cohen was unanimously chosen lord mayor of Liverpool.